OnePlus has announced that it has started rolling out an OxygenOS update for the recently launched OnePlus X as well as its flagship phone of the year, the OnePlus 2. The update will bump the version number to 2.1.2. The update carries lots of fixes and improvements which are specific to both the smartphones. It has also said that the update will be rolled out to all the devices in the coming week. Starting with the OnePlus X, you will indeed receive a lot of improvements, OnePlus team has also confirmed that the update does not include any fix for the microSD card issue. However, they have assured that a fix will be rolled out in future. In case you are unaware of this, then there are many OnePlus X users who have complained that their phone is not showing the microSD card storage in the Settings and they are also not able to move apps to the SD card. 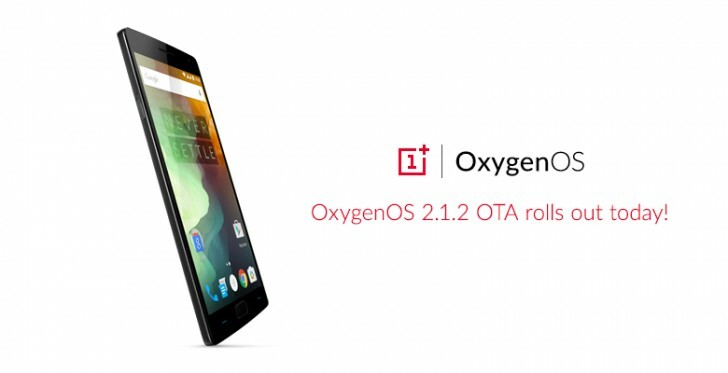 OnePlus has said that the OxygenOS update is an OTA update for both the phones. You should keep an eye over your notification tray as it can arrive on your phone at any moment.